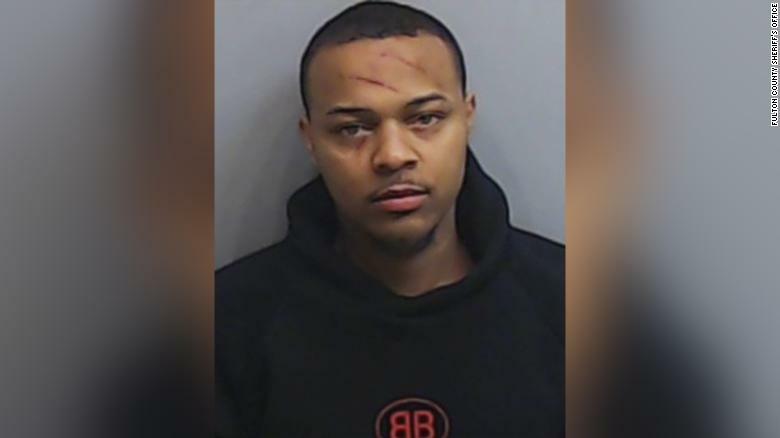 Rapper Bow Wow appears in a mugshot released by the Fulton County Sheriff’s Office on Saturday. When officers responded to the call, the woman told them Moss had assaulted her but the rapper said the woman had assaulted him, police said. “Officers were unable to determine the primary aggressor of the altercation, so both parties were charged with battery,” Daugherty said in a statement. Both suffered minor injuries and were taken to the Fulton County Jail. Moss was released from jail Saturday afternoon after he being held on $8,000 signature bond, jail records show. The rapper’s attorney, Joe Habachy, said his client was wrongfully arrested. “For no logical reason officers arrested both parties despite having clear-cut evidence that Bow Wow was the victim in the case,” he added. Habachy said the rapper’s mugshot clearly shows some of his injuries. Formerly known as Lil’ Bow Wow, the “Shortie Like Mine” and “Take Ya Home” star jumped to fame when fellow rapper Snoop Dogg made him his protégé.